One of the many disturbing aspects of the opioid epidemic is its effect on employment. Various researchers have found evidence that addiction causes people to lose their jobs, and they often give up trying to stay employed. But other research points to indications that many addicted workers manage to hold onto their jobs. The situation for employers with addicted-but-employed workers can get complicated as managers and supervisors grapple with questions such as these: Does an addicted employee pose a safety hazard? What’s the effect of addiction on productivity and morale? What if an addicted employee needs to be fired? Are there legal hazards to navigate when terminating an employee with addiction? 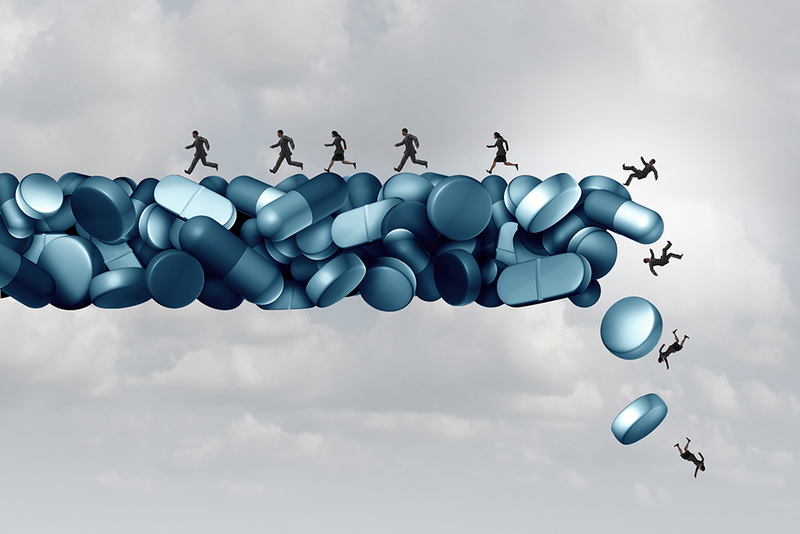 An August 20 Harvard Business Review article explains research showing that nearly 85% of opioids prescribed for working-age people are paid for with private health insurance. Because most private insurance is provided by employers, it’s likely many people addicted to prescription painkillers are part of the workforce. And that means employers need to understand their rights, responsibilities, and limitations under the law. David L. Johnson, an attorney with the Butler Snow LLP law firm in Nashville, Tennessee, wrote on the issue for the November 2017 Tennessee Employment Law Letter. He reminded employers to pay close attention to the Americans with Disabilities Act (ADA), as it may offer job protections to some employees with addictions. Anyone with a lawful prescription for an opioid medication is likely to have a disability as disability is defined in the law. If such workers are able to perform the essential functions of the job with or without a reasonable accommodation, the ADA protects them from discrimination. Likewise, an employee with a history of addiction or rehabilitation is protected by the ADA. However, the ADA does not protect employees who use illegal drugs or legal drugs not prescribed for them. Drug testing is another area requiring careful consideration. The law allows employers to test applicants for illegal drugs before making a job offer as long as the test doesn’t show the use of legal prescription drugs. Post offer, employers may require applicants to take another drug test that encompasses prescription drugs. “At that point, if an applicant tests positive, you may ask for proof of a valid prescription,” Johnson wrote. Johnson explains that any questions about a potential disability or request for an employee to take a medical exam must be job-related and consistent with business necessity. “You have greater latitude to do either if an employee’s use of prescription medication may impair his safety or the safety of coworkers or others,” he says. Tammy Binford writes and edits news alerts and newsletter articles on labor and employment law topics for BLR Web and print publications. In addition, she writes for Diversity Insight, which can be found on HRHero.com.